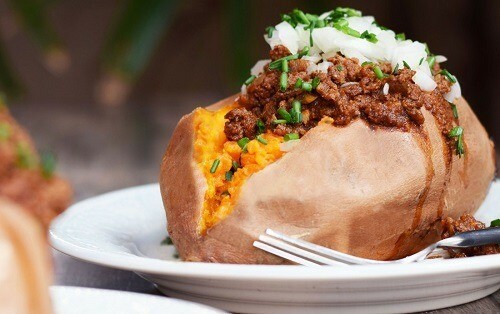 23 Tasty Whole30 Sweet Potato Recipes: It Doesn't Get Any Sweeter! Invisalign vs Braces: Which to Choose? Invisalign vs Smile Direct Club: What’s the Difference & Who is Legit? Due to the number of food groups that you should avoid, many people think that the Whole30 diet program is quite restrictive. The truth – it doesn’t have to be! Whole30 is quite enjoyable (and definitely effective) if you’re willing to experiment and get creative in the kitchen. 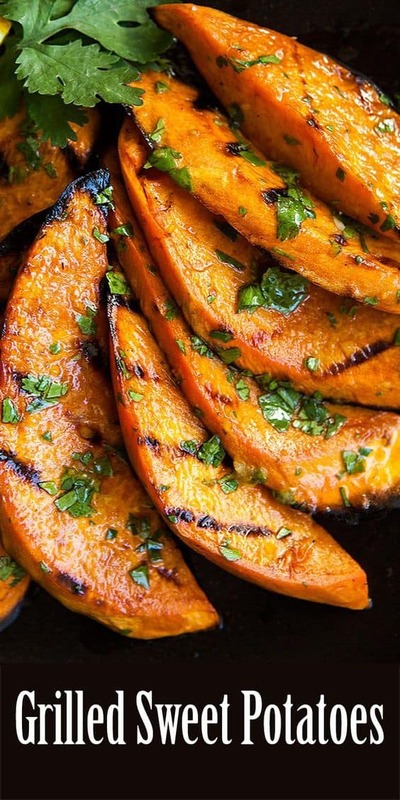 With that in mind, we present 20 delicious Whole30 sweet potato recipes for your enjoyment! This spud is a longtime favorite of Whole30 eaters, due to it’s tremendous taste and versatility! If you love sweet potatoes and you are prepping up for the Whole30 diet program, here are some of the Whole30 sweet potato recipes that you simply must consider! This recipe is far better (and healthier) than any other classic nacho recipes that you have tried! The recipe consists of jalapenos, sweet potatoes, avocado and a fresh salsa. Grab the full Sweet Potato Nachos Recipe from Paleo Leap. Also try our own original Whole30 nachos recipe featuring sweet potatoes, turnips, and buffalo chicken! This is the perfect meal if you are looking for something flavorful, satisfying, and easy to eat. The recipe includes Italian sausage (just make sure it’s compliant sausage), sweet potatoes, red bell pepper and basil. 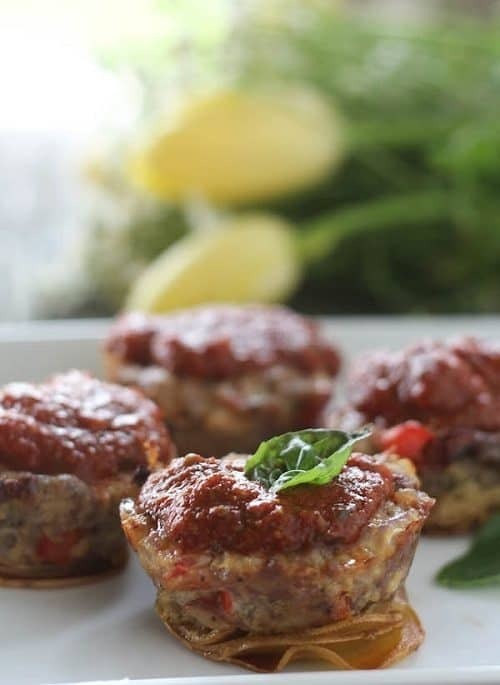 Get the complete Sweet Potato Meatloaf Cups Recipe from Paleomg. Many people think that making gnocchi is impossible while they are on the Whole30 diet, but this recipe will definitely prove that wrong! This recipe is made with sweet potato, almond flour, garlic powder and arrowroot powder. Know the full Sweet Potato Gnocchi Recipe from Paleo Grubs. If you are looking for something hearty to eat but simple to make, this is the dish for you. The recipe includes broccoli, chicken, bacon and sweet potatoes. Discover the complete Stuffed Sweet Potatoes Recipe from Against All Grain. This Whole30 friendly chili will not just warm your tummy but your heart as well! Enjoy this warm bowl of crushed tomatoes, sweet potato, bison, and celery. 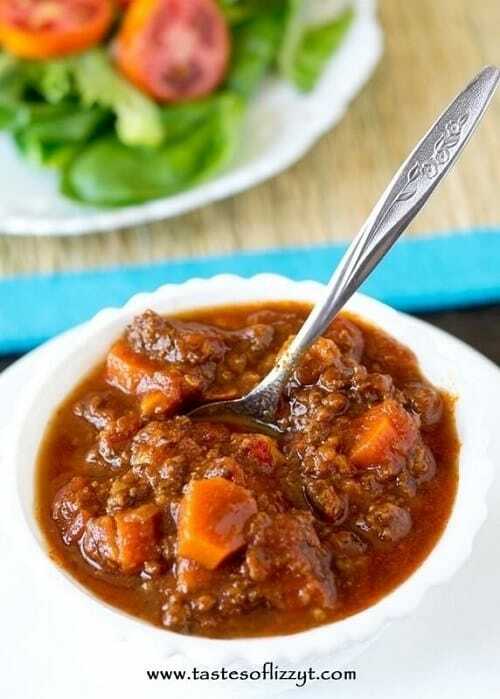 Grab the Sweet Potato Chili Recipe from Savory Lotus. Who says that you can’t eat comfort foods while on a Whole30 program? Well, this casserole recipe with coconut milk, sweet potatoes, and spices would definitely beg to differ! 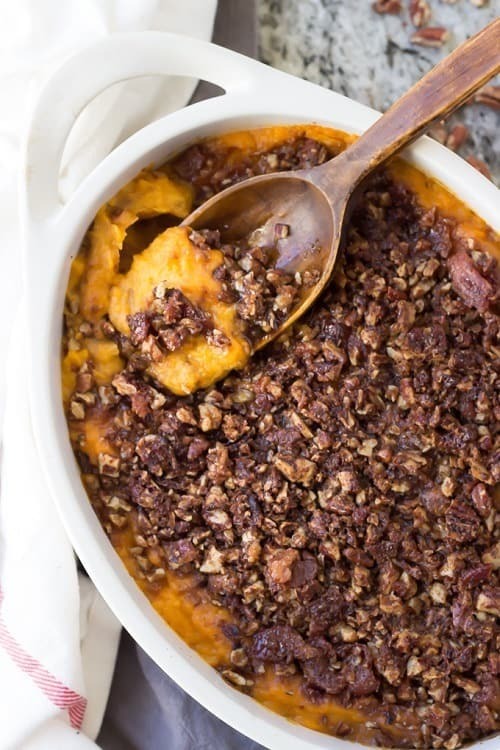 Grab the complete Sweet Potato Casserole Recipe from The Healthy Cooking Coach. There are many ways to cook sweet potatoes, but this recipe has to be one of the most original! This Whole30 sweet potato recipe includes Whole30 compliant bacon, spinach, and sweet potatoes. 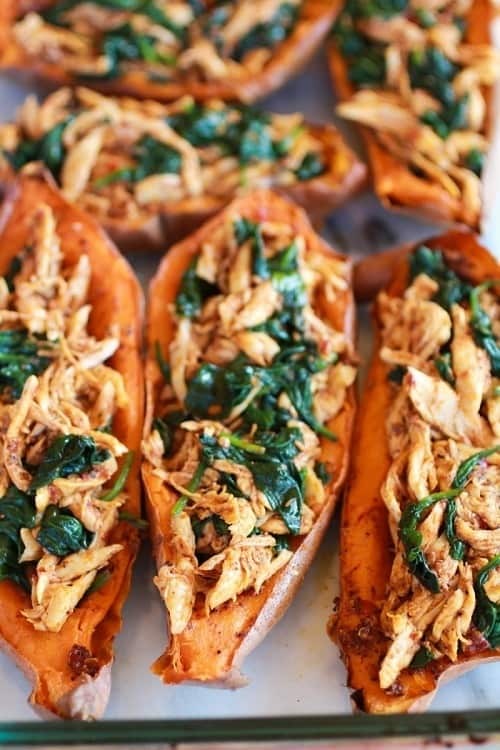 Discover more about the Bbq Chicken Sweet Potato Skins Recipe at Our Paleo Life. Getting geared up for football season? This recipe made using mashed sweet potatoes, chili powder, and lemon juice must be at the top of your list! 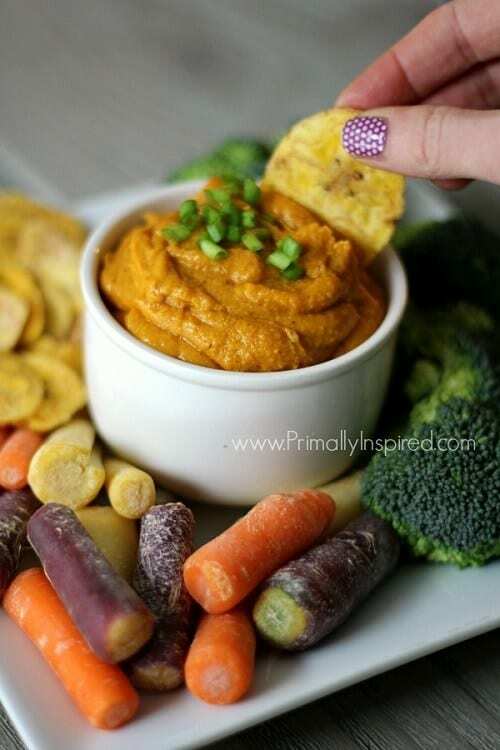 Learn more about the Sweet Potato Cheese Dip from Detoxinista. Are you craving for some McDonalds french fries? 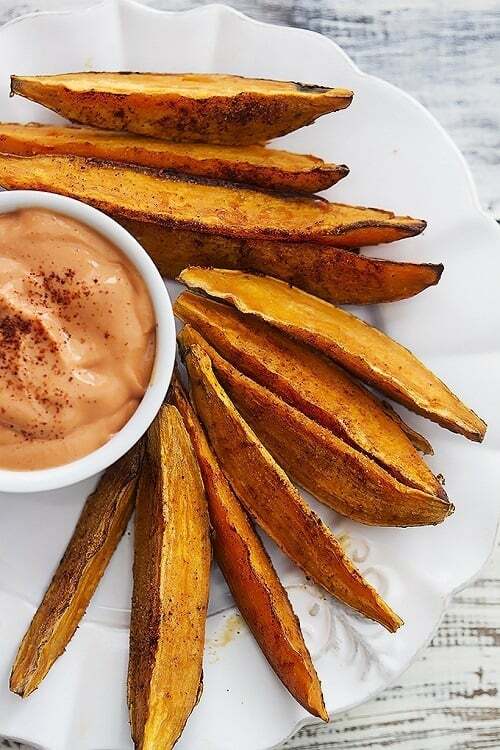 Well, this recipe made using sweet potatoes, cayenne powder, chili powder, and garlic powder is a much better (and Whole30 friendly) alternative! See the complete Chili Sweet Potato Wedges Recipe from Lexis Clean Kitchen. If you are looking for a flavorful and heartwarming dinner during the cold winter nights, this is one Whole30 soup recipe to consider. This Whole30 sweet potato dish is made using cauliflower, sweet potatoes and garam marsala. 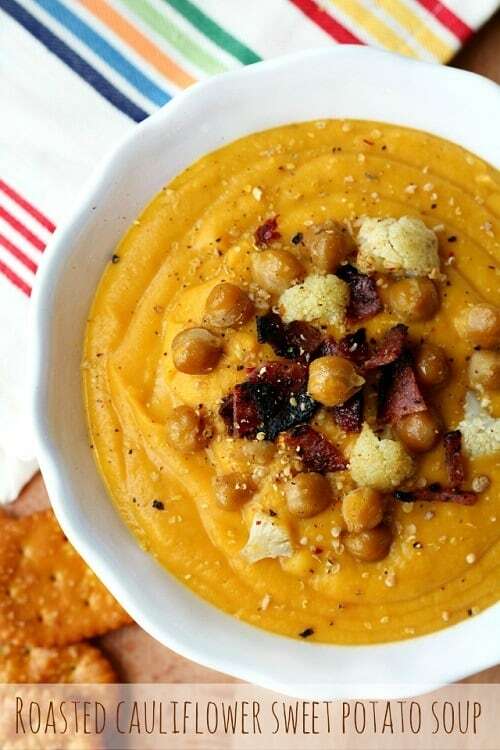 Grab the full Sweet Potato and Cauliflower Soup Recipe from Saucy Pants. We all know that breakfast is the most important meal of the day. This Whole30 breakfast recipe made using eggs, sweet potatoes, and bacon slices (remember, it has to be compliant) is definitely one of the best meals to jumpstart your day! 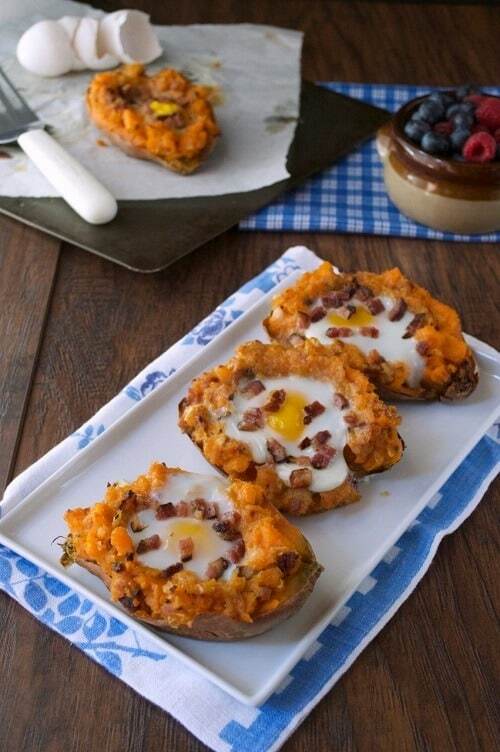 Learn more about the full Twice Baked Sweet Potatoes With Egg Recipe from Plain and Paleo. Having a bad craving for hash browns in the midst of your 30 day diet program? No need to worry! 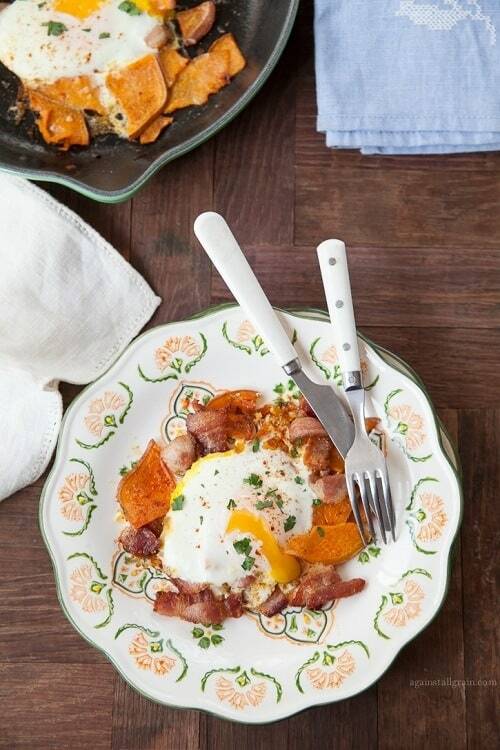 This recipe made with bacon (again, you need Whole30 compliant bacon), eggs, and sweet potatoes is here to the rescue! 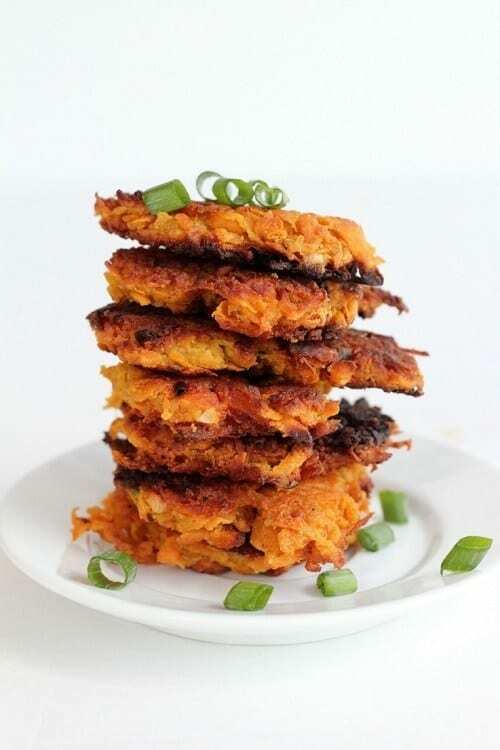 Grab the Sweet Potato and Bacon Cakes Recipe from Paleo Leap. You’ll be surprised to know that this tortilla chip recipe contains no corn! In fact, it is made using flax seeds, sunflower seeds, and sweet potatoes! 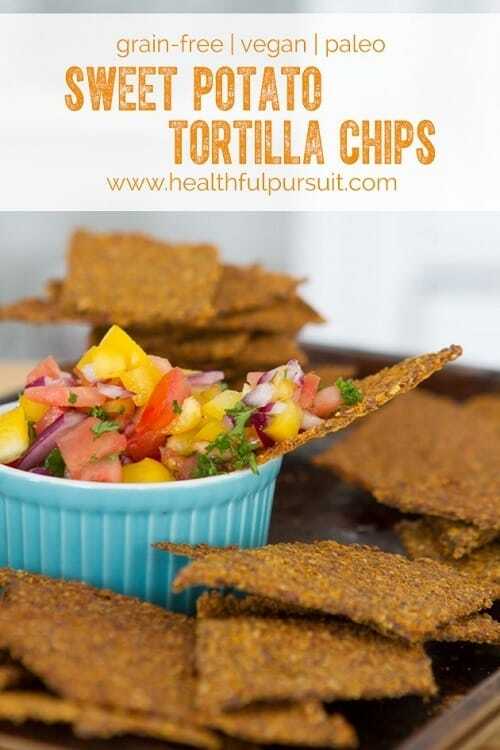 Get the complete Sweet Potato Tortilla Chips Recipe from Healthful Pursuit. Having a hard time resisting your junk food cravings? Don’t give in – opt for this recipe instead! It is made using sweet potato chips, rosemary, and salt. 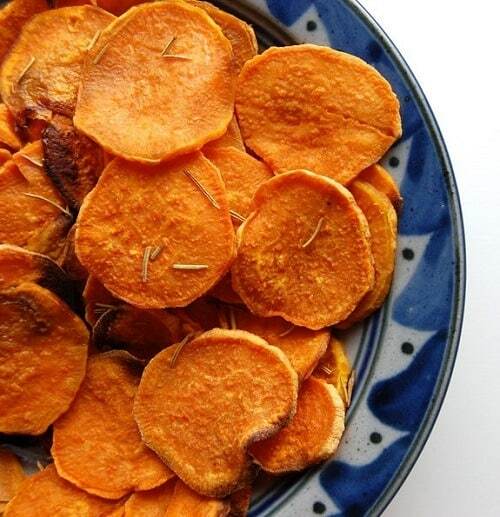 Read more about the Baked Sweet Potato Chips Recipe from Paleo Grubs. This recipe features the right balance between sweet and savory. It is made using Whole30 bacon, eggs, sweet potatoes, and some spices. 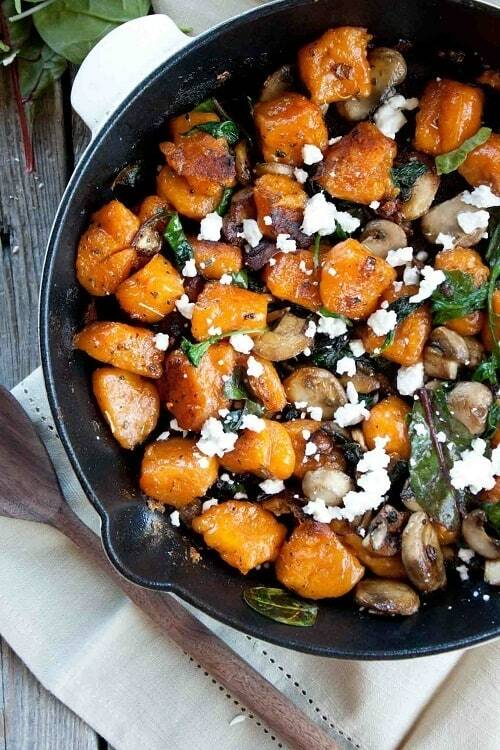 Discover more about the Sweet Potato Hash Recipe from Against All Grain. This recipe takes mashed potatoes to a whole new level – it includes sweet potato and apples! 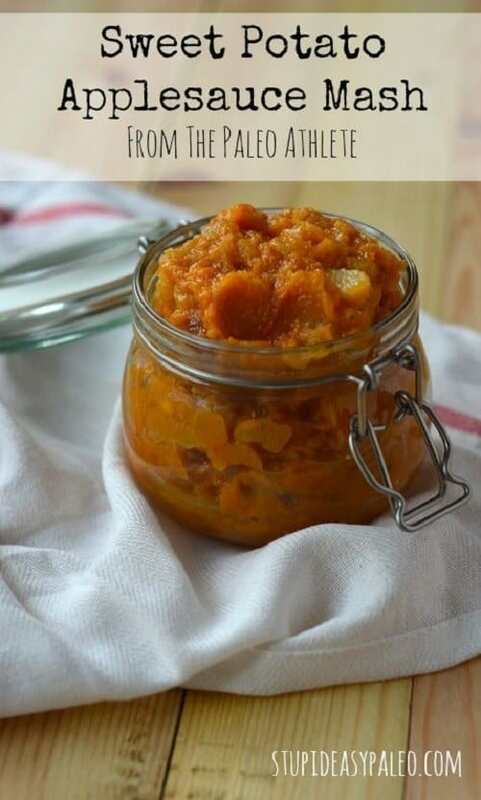 Learn how to create the Sweet Potato Applesauce Mash Recipe from Stupid Easy Paleo. Thanksgiving does not have to be so unhealthy! Using sweet potatoes, cashews and coconut milk, you can make this healthy dish that will surely become everyone’s favorite Thanksgiving dish! 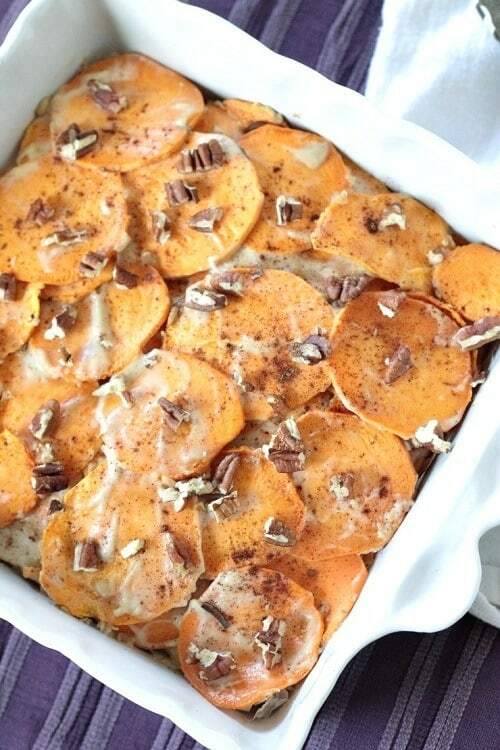 Make sure to grab the Scalloped Sweet Potatoes Recipe from Physical Kitchness. This recipe is made using sweet potato, fresh parsley ,and zucchini. 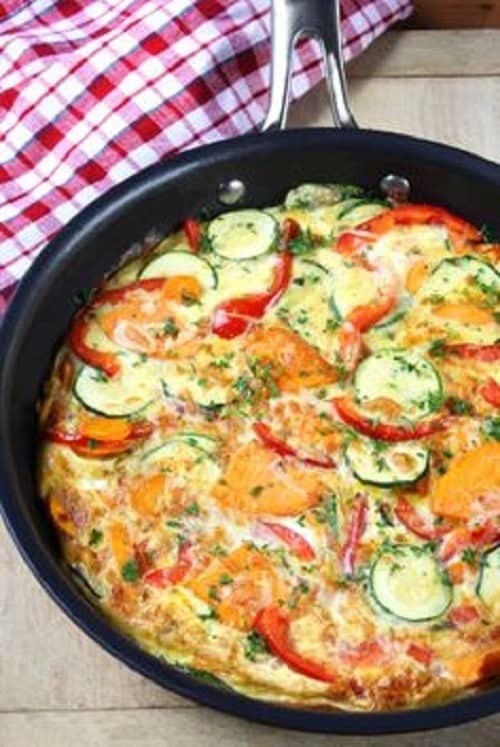 Learn how to make the Sweet Potato and Zucchini Fritata Recipe from Six in The Suburbs Blog. This tasty potato dish is made using flat leaf parsley, sweet potatoes, and tahini. 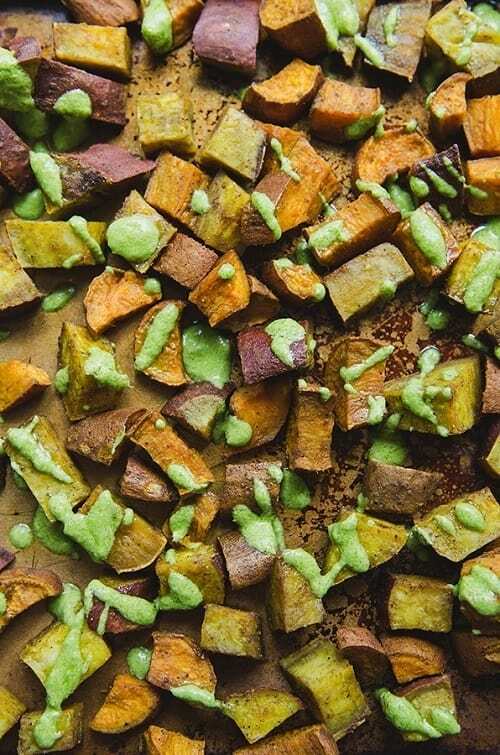 See more about the Turmeric Roasted Sweet Potatoes With Parsley Tahini Sauce Recipe from So Let’s Hang out. This will definitely be a great treat for pasta lovers! 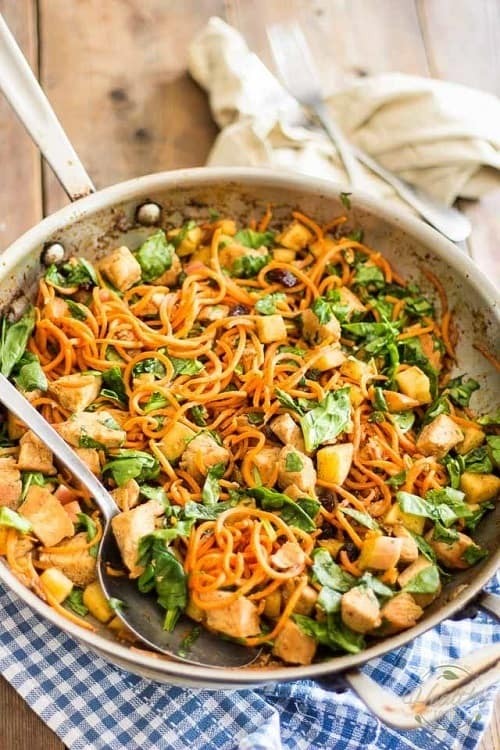 This recipe is made using chicken, sweet potatoes (as pasta), diced apple, and spinach. Don’t miss out – grab the Sweet Potato and Chicken Hash Recipe from The Healthy Foodie. 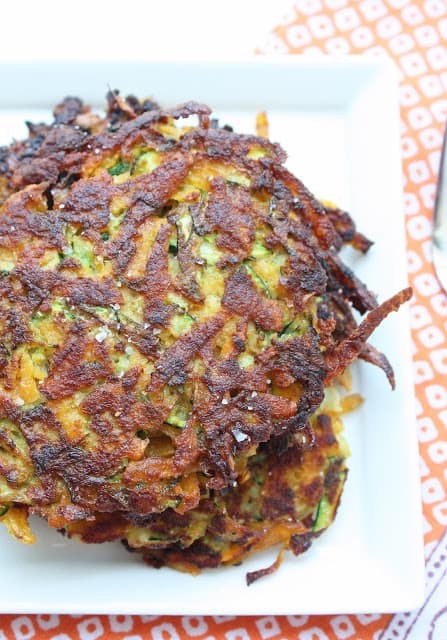 This hearty, potato-packed Zucchini & Sweet Potato Latkes recipe comes from I Breathe, I’m Hungry. You get a double dose of filling veggies in this recipe, which uses zucchini, sweet potatoes, and a mix of spices to create these perfect pancakes! 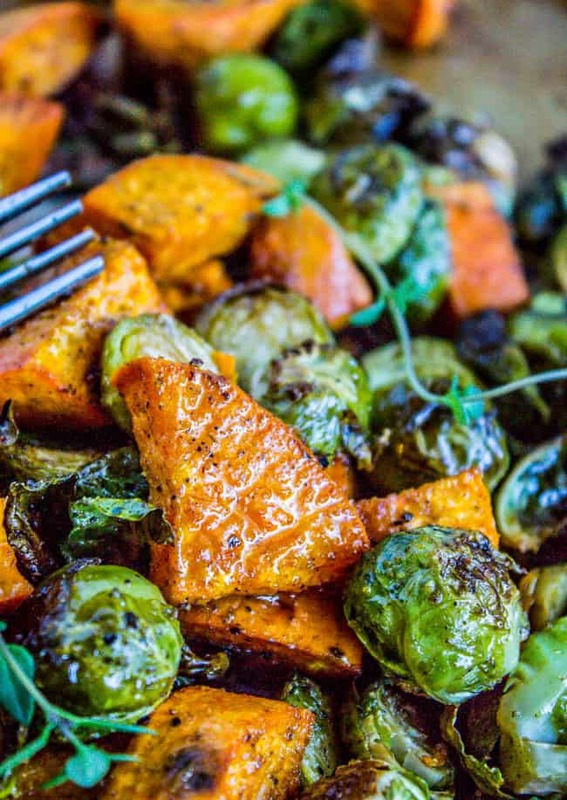 This Roasted Brussels Sprouts & Sweet Potato recipe comes from The Food Charlatan. It uses a lovely mix of ingredients including sweet potatoes, cloves garlic, fresh thyme and vinegar. This one will wow Whole30 eaters and regular eats alike. This recipe starts with a tried and true classic, featuring simple slices of sweet potato, coupled with a tasty dressing of cilantro-lime. Simple ingredients like fresh cilantro, lime zest, lemon juice and olive make this sweet potatoes something else! Grab this recipe from Simply Recipes and try crafting it in your kitchen! Sweet potatoes are a must-have staple for any Whole30 diet. Known for their versatility, high fiber, and antioxidants, it’s one food you can’t forget to put on your menu. These Whole30 sweet potato recipes will definitely make your 30 days a lot more fun and flavorful! Do you have any of your own favorite sweet potato recipes to add? Share your favorites in the comments! 7 Fantastic Whole30 Meal Services: Easy, Compliant Paleo Meals Delivered! 15 Mediterranean Diet Beginners’ Recipes: Start your Diet off Right! 15 Mediterranean Diet Dinner Recipes: Dazzling and Delicious! Some of these look like great recipes but the rest look like attempts at recreating “junk foods” which is not in spirit with the Whole30 diet. Hi Alan – I’m curious which recipes you consider SWYPO – I agree that the sweet potato crackers are more of a food-freedom (post 30 days) food, but the others are all totally compliant. Sweet potato chips and fries are fine as long as they are made at home and not purchased. 15 Whole30 Bone Broth Recipes: Bringing You The Best Benefits! This site is not endorsed by or affiliated with Whole9 Life, LLC. Trademarks are the property of their respective owners. Information on this site is not intended to offer medical advice or be a substitute for professional medical advice. Always seek the advice of your health care provider with any questions you may have regarding a medical condition, or treatment. LifeHealthHQ.com is a participant in the Amazon Services LLC Associates Program, an affiliate advertising program designed to provide a means for sites to earn advertising fees by advertising and linking to Amazon.com. Additionally, LifeHealthHQ.com participates in various other affiliate programs, and we sometimes get a commission through purchases made through our links.